Schedule Same Day Carpet Cleaning Huntington Beach. Call us for same day carpet cleaning Huntington Beach. If you have just experienced and pet stains or pet accidents around the house. Also, if you had just got a surprise call from your family that is coming to visit, call us to solve your carpet cleaning needs. Moreover, if you are a devoted surfer, and you bring back sand from the beach. Also, if you come home with your equipment still being wet, you are slowly building up deep stain on your carpet. We, Dr. 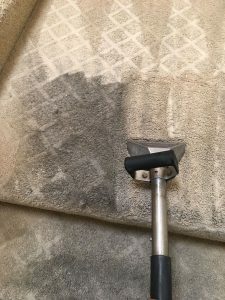 Carpet Irvine, use all biodegradable carpet cleaning products to penetrate deep into your carpet and extract the deep stains. For more information about carpet cleaning Huntington Beach please contact us. In addition, we also offer same day upholstery cleaning and air duct cleaning in Huntington Beach. More Than Just Carpet Cleaning Huntington Beach. We offer many more carpet cleaning services to our local Huntington Beach community. Upholstery cleaning in Huntington Beach for example, is yet another major service on demand. our sofa and couch nowadays are so comfortable that many of you love to take a good nap on the sectional sofa. With time your upholstery accumulates sweat and dust and becomes darker and stickier. Therefore, a deep green upholstery cleaning would freshen up the upholstery once again. Air Duct Cleaning Huntington Beach. Another big source for allergies and dust around the house is the air duct main return and vents. Air duct cleaning is one of our main services on high demand around Huntington Beach. Air duct cleaning goes well with carpet cleaning Huntington Beach. However, you would not need air duct cleaning as often as carpet cleaning Huntington Beach. Carpet cleaning is recommended by factories to be cleaned twice a year. Nevertheless, the air duct cleaning is in a need of deep cleaning once every other year. Warning About Carpet Cleaning Huntington Beach. Please do not attempt to do any of the carpet cleaning by yourself. First, there is a high risk of injury. Also, Using the wrong equipment and carpet cleaning products could harm you and your home. Contact Dr. 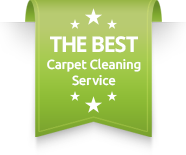 Carpet Irvine for more information about carpet cleaning Huntington Beach.